Shampoos can be hard on your hair. When you have dry hair, most shampoos strip away the natural oils from your hair, making it feel coarse and damaged. 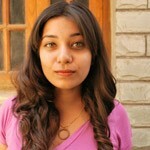 Whereas women with oily hair find that when they shampoo more often (in some cases every day), it leads to hair damage. In situations like these, finding a mild shampoo can go a long way. Mild shampoos help remove the excess oils and dirt from your skin without excessively drying or damaging your hair. To help you find the right pick, I’ve put together a list of the 10 best mild shampoos available in India. 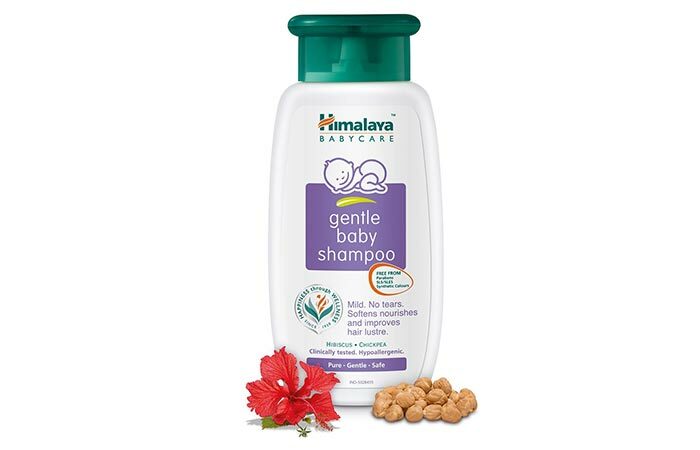 Himalaya Herbals’ Gentle Baby Shampoo is a no-tears cleanser that is specially formulated for babies. The shampoo is rich in proteins and contains herbal ingredients such as hibiscus, paddy, khus grass, and chickpea. These ingredients work together to keep the scalp healthy while softening the hair. This baby shampoo is extremely mild and can be used by adults on a regular basis. Leaves your hair feeling soft and smooth. Does not lather much but isn’t necessarily a con as this is a list of mild shampoos. 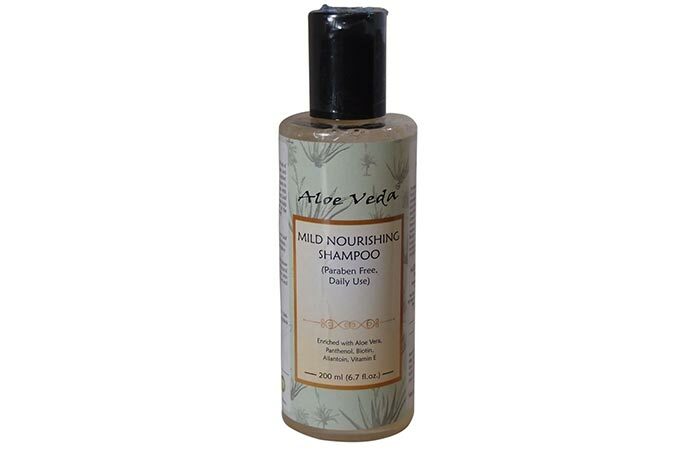 Aloe Veda’s Mild Nourishing Shampoo claims to be suitable for daily use because of its gentle formula. The shampoo is enriched with the extracts of aloe vera. It is free of parabens and the product is not tested on animals. 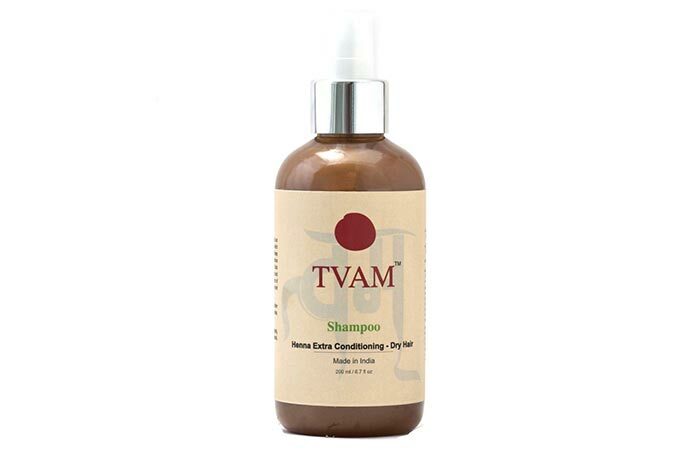 TVAM’s Shampoo Henna Extra Conditioning For Dry Hair claims to deeply cleanse your hair’s follicles while providing your roots with the right amounts of moisture and nourishment. The shampoo helps keep your hair conditioned while revitalizing your scalp. It also helps improve hair texture. The packaging could be so much. 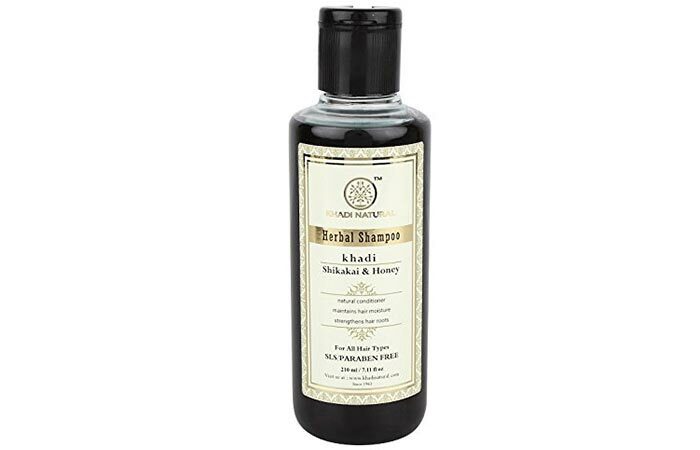 Khadi’s Shikakai And Honey Shampoo is an herbal formulation that helps clean and condition your hair at the same time. The shampoo is extremely mild and can be used on a regular basis. The pH balanced formula helps keep your scalp healthy. This product also claims to help curb hair fall. Free of SLS and parabens. The texture is a bit runny. 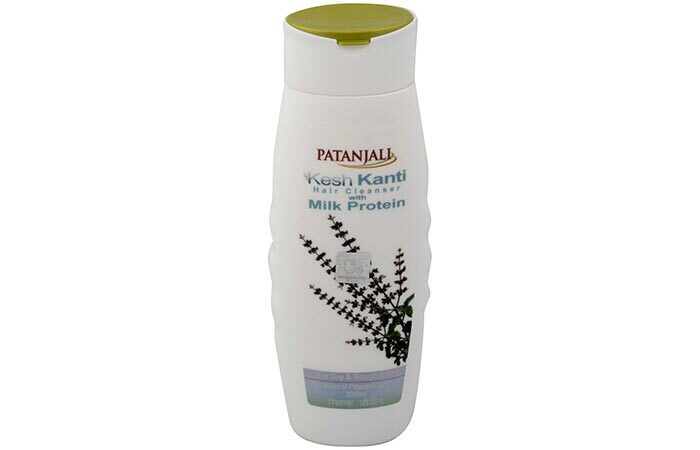 Patanjali’s Kesh Kanti Hair Cleanser With Milk Protein claims to be an effective treatment for dryness and dandruff. The shampoo is enriched with bhringraj, henna, shikakai, aola, reetha, neem, and turmeric, among other herbal ingredients. The mild formulation helps curb hair loss while improving hair texture. Comes through on its claims. 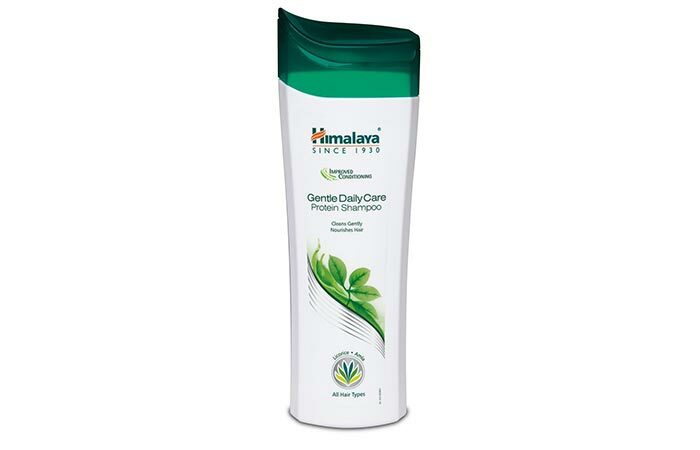 Himalaya Herbals’ Protein Shampoo Gentle Daily Care is a gentle hair cleanser that has been formulated using natural hair proteins and mild foaming agents. The shampoo is gentle on your hair and scalp and helps protect the hair’s natural keratin. It also helps maintain a healthy pH and moisture balance. Enriched with extracts of amla, chickpea, licorice, beach almond, and henna, the shampoo helps nourish your hair while cleaning it. Extremely mild formulation that can be used frequently. Safe for color or chemically treated hair. Efficiently cleans your hair and scalp. Needs to be used with a conditioner. 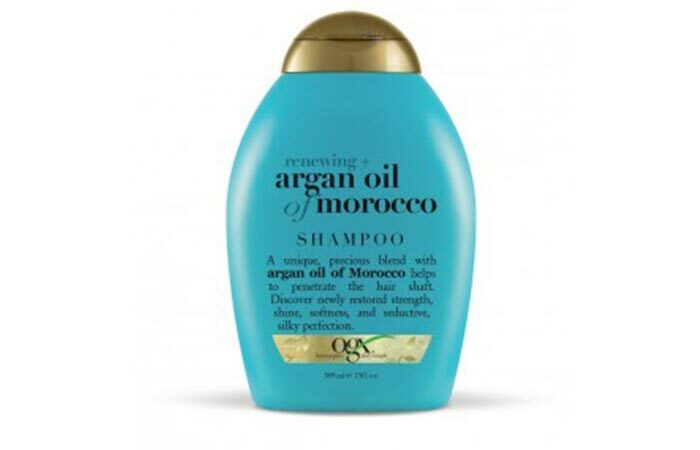 Organix’s Moroccan Argan Oil Shampoo is a blend that has been formulated with the argan oil of Morocco that is known for the multitude of benefits it offers to hair health. The oil penetrates through the hair shaft and helps restore softness and shine right from the first use. The formula is free of parabens and sulfates and is extremely gentle on the hair. Improves hair texture when used with its corresponding conditioner. Does not contain parabens or sulfates. 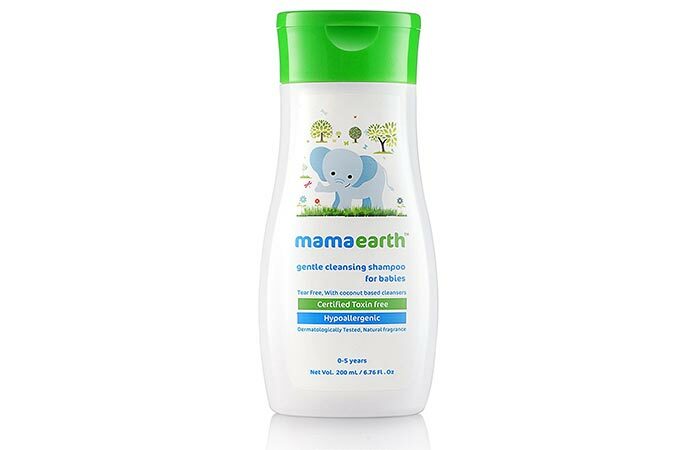 Mamaearth’s Gentle Cleansing Shampoo is another baby shampoo that a lot of adults can benefit from. This mild formulation is completely free of sulfates, mineral oils, parabens, synthetic fragrances, and dyes. The shampoo has a pH balanced formula that is extremely gentle on the scalp and helps maintain the natural moisture balance. It is also safe for sensitive skin types. Tear-free formula that does not irritate your eyes. 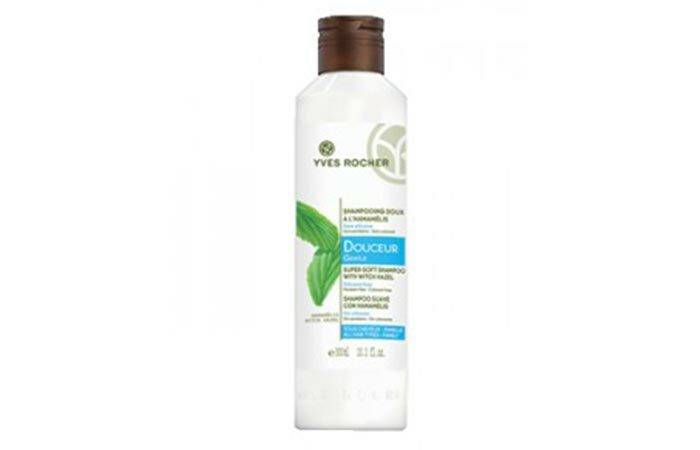 Yves Rocher’s Gentle Super Soft Shampoo is a mild formulation that suits young and old hair alike. The product is formulated with witch hazel and helps clean your hair while also maintaining an optimum moisture balance. The mild formula of the shampoo makes it perfect for frequent use. Suits people of all ages. Does not add volume or bounce for oily hair. Forest Essentials’ Bhringraj And Shikakai Hair Cleanser claims to be the ideal solution for problems such as hair thinning, breakage, and dandruff. Enriched with ingredients such as bhringraj, shikakai, and licorice, the shampoo helps nourish your hair and scalp. The shampoo also claims to helps stimulate hair regrowth. Does not completely eliminate dandruff as claimed. Frequent shampooing can do a lot of harm to your hair. However, with this list of mild shampoos, you are already on your way to better hair health. Have you tried any of these shampoos? Tell us about your experience in the comments section below. As a mother, you want the best products for your little one. Like all baby products, you need to be particular about the shampoo you use for your baby. Frizz is your hair's cry for help. Get your hands on a good shampoo that nourishes and moisturizes frizzy hair. Check out this list of the top-rated shampoos for frizzy hair.